In our latest episode of Ars Technica Live, Ars editors Annalee Newitz and Joe Mullin talked to UC Santa Cruz sociology professor Lindsey Dillon about how the Trump Administration has been removing scientific and environmental data from the Web. Lindsey is part of a group called Environmental Data Governance Initiative (EDGI), which is working on ways to rescue that data and make it available to the public. “Mom look, that’s the app I was telling you about!” remarked my friend’s teen, pointing to an ad running on the TV. “See this, you can learn Physics at home with this app; Ramya tells me the lessons are very good and they make the concepts crystal clear. In fact they offer coaching in many other subjects,” explained the excited teen. I was listening to the conversation and marveling at the level of awareness in today’s kids. They are so confident, aware of their problems and proactively look for solutions. They have friends hailing from different parts of the nation, and even the world, and they are well aware of global events. The world in fact has become a global village. Hence the demand for more knowledge, customized content and greater control over the learning process. This is the generation that is leveraging the net and digital devices to get the best of global education. Education today is thus going beyond books and notebooks and understandably so. The internet has opened up multiple portals to the world of learning. There are just so many things to learn and so many ways of doing so. You can take lessons from an online teacher on a one-to-one basis, join a group education program, or do your own research using dedicated search engines and other customized tools- you take your choice. A plethora of such educational apps are available and many are free of charge. Even schools that still follow traditional teaching practices require children to do a lot of work online, including homework and projects, and children use these apps to enhance their learning and turn in great projects. As a cyber security advocate, I however also consider the grey areas of learning with the aid of digital devices. These are mainly to do with the risks associated with all virtual world activities. Being aware of, and applying these checks, will make the entire learning process a safer and smoother one. Is the app age appropriate? There are different apps out there for different age groups and learning levels. The right choice is necessary for learning to occur. It’s always best to purchase the app. You will get better quality content and the app is more likely to be malware-free. Some apps and websites do offer free solutions and recommendations but for deeper learning, dedicated apps are necessary. Is this the right app? Ask around. There are just too many apps and it is difficult to choose. Find out what apps your child’s friends are using. Ask your child’s teachers for recommendations. Does it need 2-way communication? If the app requires the learner to take oral quizzes or tests with camera on, you will want to monitor this. What is the data requirement? Ideally, there should be a mix of online and offline time or else data consumption might be high and child may be tempted to access social media sites at the same time. Class, age and email is permissible but if the app wants access to photos, contacts etc., then you may want to reconsider. Is the security at maximum? This is necessary to identify unauthorized downloads that may occur and also to block pop-pups. As we move towards our vision of Digital India, the use of digital devices is likely to increase in all fields and our children, the future digital citizens, are on the threshold of this changing scenario. Some of us may still be new to technology but it is still our duty to help make the digital experience for our kids the best and safest possible. Collaborate with teachers and other parents and do your own research online to always make the right choices for your child. Next time we will explore if your kids are playing virtual hide-and-seek with you by selectively hiding their activity. Till then, sayonara. The post Combining The Old With The New appeared first on McAfee Blogs. Greetings, Arsians! Courtesy of our partners at TechBargains, we’re back before the holiday weekend with new deals to share. 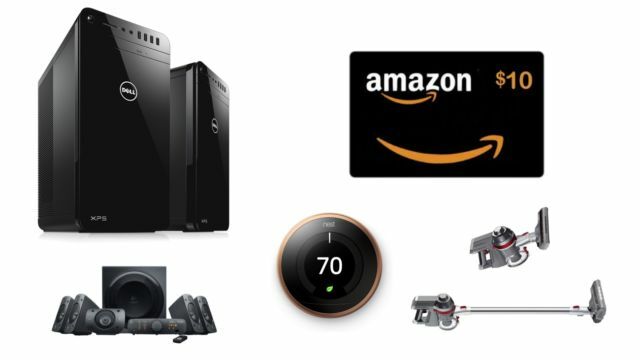 In the midst of your Fourth of July festivities, you can snag some great deals including a Dell XPS 8910 Core i5-powered desktop for $479, an XPS 13 laptop with a Core i7 CPU and 8GB of RAM for $1,099, and $10 Amazon credits for Prime members and first-time Prime Video streamers. Check out the rest of the deals, including some pre-Prime Day savings, below. The post June 28, 2017 – Hack Naked News #131 appeared first on Security Weekly. US technology companies lobbied the US government to create exceptions for a ban on business relationships with Russia’s Federal Security Service.